Electrical inspections are an essential part of ensuring that your commercial building stays safe. You should have an electrical inspection done on a regular basis to ensure your team stays working as well as lowering the risk of fires and other electrical hazards. Learn more about what you need to know about these inspections for your commercial building in the Phoenix area. All commercial buildings should schedule an annual electrical inspection. Doing so helps ensure that the wiring and other parts of your building’s electrical system are in good working condition. These inspections help identify potential problems that could increase the risk of electrical shocks or fires. Regular inspections can ensure that equipment, lighting, and other electrical items are working correctly. Regular electrical system checks can alert you of any necessary wiring replacements or repairs. Over time, wires, connectors, conduits, and other components can show signs of wear and tear. This can lead to a wide range of problems, such as outlets that won’t work or lights that flicker. In addition to being an inconvenience, these issues can raise the risk of fire. What would it cost if you had to send your team home because you didn’t have lights or couldn’t plug in anything? 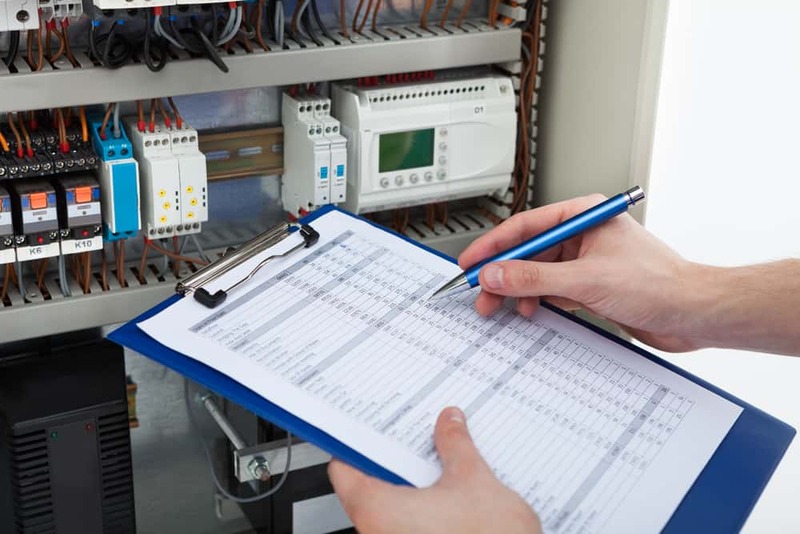 What can you expect during your commercial electrical inspection? A qualified, licensed electrician will check various components of your electrical system. They will look for any possible issues that you need to address to prevent electrical hazards. These inspections include checking the quality of any previous electrical work. An electrical inspection typically includes checking electrical panels to ensure that they comply with current codes. Since these codes change from time to time, you might learn that your panels require an upgrade. Following through on your inspector’s recommendation can lower your risk of fines for panels that don’t meet current compliance codes. What is included in this electrical inspection? Are you licensed and certified to perform electrical inspections? What happens if you detect any problems with the electrical system? What happens if you find an electrical code violation? Will I get a detailed report that lists the results of the inspection? After your inspection, take the time to go over any reports you receive. Make it a priority to address any issues. If your building needs upgrades for compliance codes, make sure you have them done promptly. If you’re due for an electrical inspection in your commercial building, contact Turn It On Electric.